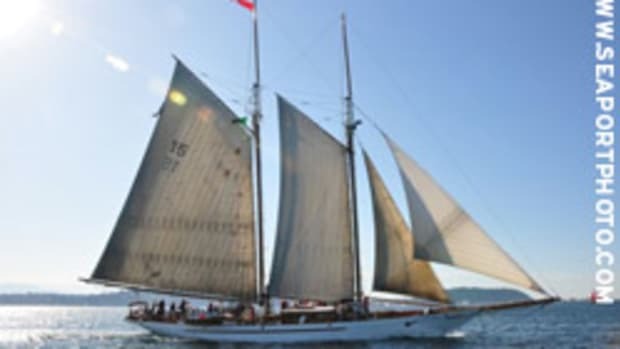 The 1929 John Alden wooden schooner SummerWind is scheduled to be launched at 10 a.m. Feb. 11 at Riviera Beach Yacht Center after a two-year total refit and major reconstruction of the hull. One of the few remaining large schooners from that era, the vessel’s traditional hull, deck house, cockpit, spars, sails, winches, marine electronics, wiring and electrical system, plumbing, galley and bowsprit are all new. See Summerwind reconstruction photos at www.woodenboatrepair.com.